I took this picture in March outside the Youth Hostel in Borth on the Mid Welsh coast. I was running a singing workshop for 2 days, and was feeling particularly rough as I had had a nasty virus the week before. It took a long time to get to Borth on the train from London, but we had a lovely weekend and this was one of the nicest photos I took. 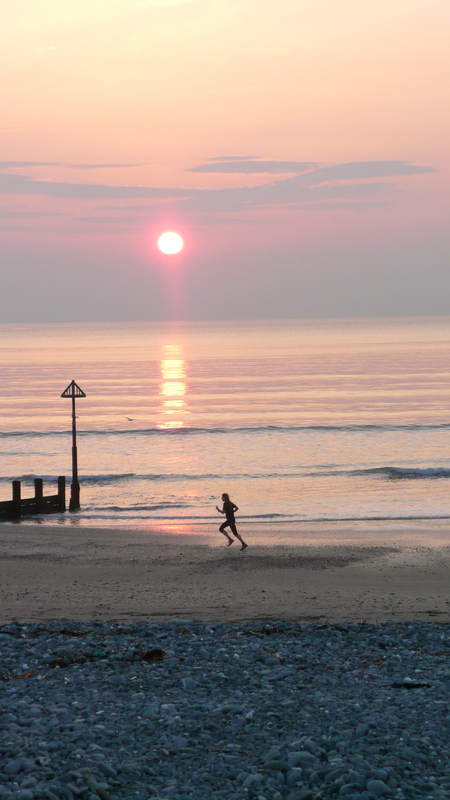 A solitary runner on the beach…movement in the runner, the waves, birds flying and the rapidly sun sinking…but strangely there is so much stillness in the picture too.